I recently summarized some of the key findings of our S&OP research. 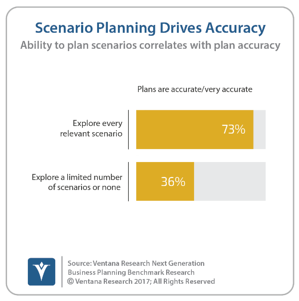 https://robertkugel.ventanaresearch.com/sales-and-operations-planning-just-mediocre Our analysis suggests that many companies that deal in physical products are doing a mediocre job of sales and operations planning and so may need to identify ways to improve. For instance, half (51%) of participants rated their company’s S&OP performance only as adequate while fewer than half that amount, 22 percent, said they do it well or very well and another 22 percent think their performance is poor. The results suggest that senior executives in companies with only moderately complex supply chains should pay closer attention to S&OP because of the challenges that they are facing in today’s new era of trade. Supply chain management typically has been a tactical concern far removed from the focus of senior executives. 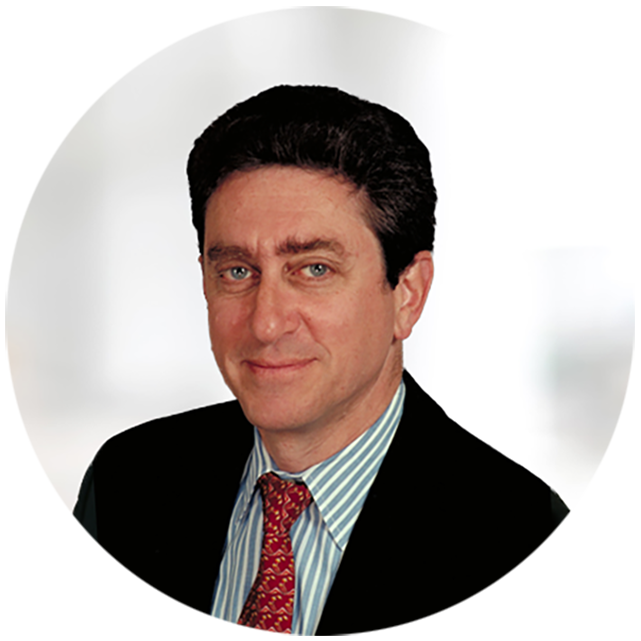 However, the ability to adapt quickly to changes in market and regulatory environments has become more strategic of late. Of course, in some industries such as technology, managing supply and demand chains is already strategic because of the large number of products, short product lifecycles, complex sourcing options and long supply chains. However, it’s likely that achieving more effective supply chain planning and management will grow in importance in the near future for a broader range of industries and the journey to a new trade equilibrium is bound to be bumpy, making the discussions at Kinexions increasingly relevant. Indeed, several of the presentations at the event emphasized the presenter company’s ability to quickly reflect the impact of tariffs in its supply chain optimization plans. Sales and operations planning, sometimes called Integrated Business Planning, is a management discipline that enables executives to assess and manage trade-offs among multiple interdependent business considerations: demand and supply market opportunities, customer service, inventory investments, production capabilities, supply availability and distribution constraints. Its objective is to produce the plan for managing the company’s supply chain that best fits the company’s strategy and opportunities. To accomplish this Kinaxis offers RapidResponse, software designed to address the supply chain planning and S&OP requirements of companies with complex and extended supply chains and that need to adapt quickly to change. Market and customer dynamics can have a significant impact on purchasing and production plans. RapidResponse gives supply chain planners the ability to rapidly adjust plans and planning horizons, enabling schedulers to focus on the issues with the greatest business impact, such as revenue, customer service levels and profitability. 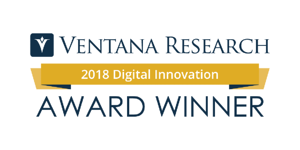 Kinaxis received the 2018 Ventana Research Digital Innovation Award in Operations and Supply Chain https://www.ventanaresearch.com/press-release/ventana-research-unveils-the-digital-innovation-award-winners-for-2018 for its Self-Healing Supply Chain methods in using machine learning technology. In some respects, RapidResponse is a mature product with broad and deep functionality. But it continues to evolve to support some of the most sophisticated SCM and S&OP techniques and processes and to improve ease of use. The product exploits today’s lower-cost (and likely cloud-based) computational power and advanced algorithms that make it possible to do concurrent planning. This approach produces plans and scenarios much faster than the cascaded methods that were necessary in the face of technology and cost constraints. Concurrent planning enables organizations with highly complex planning models to run and rerun scenarios in minutes rather than hours, which means planners in all parts of the enterprise are able to develop plans or sets of alternatives fast enough for the projections to be actionable. Concurrent planning also eliminates virtually all the latency in arriving at a decision compared to cascading planning, where each echelon of a chain is calculated in series. Since in cascading planning each step is dependent on the results of the previous work, the process can take time to complete. And several iterations of a calculated plan may be necessary to arrive at a workable solution if there are constraints that must be considered, even if they are not explicitly modeled. For this reason, optimization in complex supply and demand chains often will involve some degree of human judgment. Because it’s possible to see the impacts of multiple options quickly, concurrent planning enables organizations to consider and discuss which option is best. When companies have immediate visibility into the condition of their supply chain they are able to quickly create and evaluate scenarios for planning purposes or to evaluate different courses of action in response to market changes. One finding of our Next-Generation Business Planning benchmark research illustrates the value of quickly assessing multiple scenarios: Three-fourths (73%) of those companies that are able to assess every relevant scenario say their plans are accurate or very accurate, while that’s true of just 36 percent of those that explore only a limited number of scenarios or none at all. Software that allows planners to quickly assess scenario outcomes enables organizations to evaluate more scenarios in the time available. RapidResponse’s differentiation is its ability to handle the most complex supply chain structures and its flexibility to adapt to a company’s particular business requirements. Accurately planning supply chains can be extremely difficult because of its complexity, involving a great variety of items that must be addressed in the planning as well as their permutations. These include suppliers, parts, products, manufacturing, distribution and store locations, desired inventory levels at locations as well as the volume of orders received and completed. Organizations that operate globally face additional issues that include the length of time it takes to source components or products, tariffs and taxes. Our research finds that one of the main sets of challenges that organizations grapple with involve data: 38 percent said that the necessary data isn’t available; another 30 percent said that their data isn’t accurate. One consequence of bad or unavailable data is that the resulting plans aren’t completely accurate. Only one-third (31%) characterized their S&OP as very accurate or accurate, while half (49%) described theirs as somewhat accurate. Somewhat accurate planning is like somewhat accurate juggling: There are a lot of dropped balls. Likely because it is complex, S&OP challenges a majority of companies. Organizations with even moderately complex multinational supply chains are facing and will continue to face significant challenges in managing them. Dealing with competitive changes, new technologies, a market-driven proliferation of SKUs, the growing use of contract manufacturers and a proliferation of commerce channels is making supply chain management more difficult. Adding to the challenges are a more uncertain trade environment, unprecedented market volatility and the impacts and costs of ongoing legal, regulatory and taxation changes. Each of these factors makes it that much harder for organizations to make good sourcing, purchasing and production decisions at a pace that maintains market share and profitability and achieves performance targets – in other words, to be agile in supply chain management. In this environment, senior managers and executives should evaluate how their organization is positioned competitively, taking an especially close look at their ability to do dynamic supply and demand chain contingency planning. All managers and executives with planning responsibilities, and particularly those in organizations that are exposed to significant market volatility, should be alerting senior leadership teams regularly to opportunities and vulnerabilities. They also must ensure that they have the planning tools they need not only to anticipate change but to benefit from it. I recommend that larger companies with even moderately complex supply chains assess the tools they’re using. And I recommend they evaluate Kinaxis’s offering as part of that assessment.